Oregano, basil, parsley, carrots, marigold, garlic (alliums), celery, geraniums, petunias, nasturtium, borage, any type of onion or chive. Don’t forget them in your plans for next season. Categorie: Avversità, Curiosità, Erbacee, My projects, Orto | Tag: aglio, basil, basilico, companion plants, consociazioni, garlic, pomodoro, tomato | Permalink. Consocizioni 2013. My companion plants 2013. 9- aglio scalogno e butaline —– garlic, shallot, tomatos San Marzano. Categorie: Curiosità, Lavori del mese, My projects, Orto, Rimedi naturali | Tag: companions, consociazioni, orto, veggie garden | Permalink. By Native American farmers, three sisters gardening has been practiced for hundreds of years. Corn, pole beans, and squash. 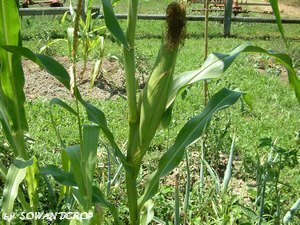 Corn, beans, and squash complement each other: corn for grain and carbohydrate, beans for protein, and squash for vitamin A. 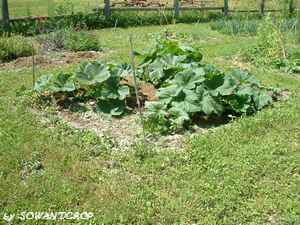 The corn provides support for the beans, the beans add the nitrogen to the soil for the corn and the squash vines create a ground cover that keeps the soil moist, the weeds down, and the pests away. Try this year to grow them. 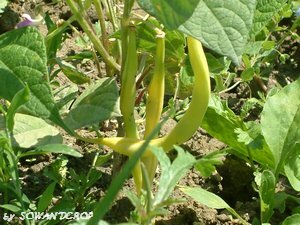 Categorie: Curiosità, Orto | Tag: consociazioni, Corn, fagioli, Indiani Nativi Americani, mais, Native American Indian, pole beans, squash, three sistere, tre sorelle, zucca | Permalink.